Fabulous place to stay. Very clean, comfortable, and the kitchen was equipped with all the essentials. Family Times 4 - awesome for familes! Family Times was a great destination for our family! The accommodations were great and the basement game room and sauna/ hot tub were a great addition that we all enjoyed after a full day on the slopes. Highly recommend Big Powderhorn and Family Times! Great experience and great memories! Loved this condo- clean, comfortable beds, nicely furnished and perfect location. We will be back! This rental has plenty of space, is clean, well stocked and in the perfect location for ski in/ski out. Excellent accommodations. Well maintained. Great location. Family Ties Four- Powderhorn Mnt. We were a three generation family in Family Times 3&4 and loved our three night stay! Both units were clean and organized for uptimum enjoyment. There were plenty of towels, bedding, extra blankets for cuddling on the sofa. Beds were comfortable, including the sofa sleepers which had memory foam mattresses - no lumps or bumps! Kitchens were stocked with plenty of dishes and untensils to make our meals. Specifically the stove in #4 was convection and had double ovens! The games in the lowerlevel on both sides were so much fun! 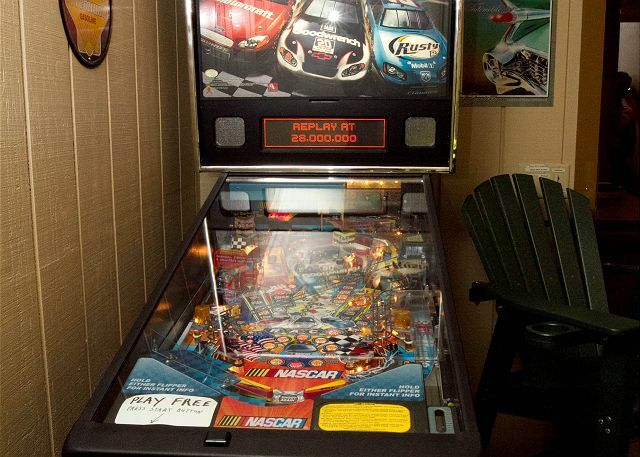 To not have to "feed" (pay) for every pinball game was such a treat! Great games as well as movies provided, board games and puzzles too! Units were both clean, and the daily check on the hot tubs are a great service. We loved being able to ski in and out easily. Our checkin was smooth, kind and welcoming. Antonella was wonderful. Using the website to see the floor plan was useful and accurate when we made the reservation. We did eat once in the Gun Barrel Lodge - and found plenty to choose from on their menu. We used the pool in the Caribou Lodge too, and had a ball! We couldn't have had a better time at Family Times 3 and 4!! While the temperatures were cold, we were a warm, happy family! 1 and only 1 disappointment, the floor heat was not working in the lower level. This did not stop us from using the games, sauna or hot tub - but would have been nice to have working. We booked this villa for our Christmas family vacation. Three teens who had never been to the area to ski before. The villa was top notch! The weather was extremely cold so the game room and Sauna were a big hit. The lower level of the villa has a professional air hockey table, a high end pinball machine, a hot tub, Sauna and nice shower. When we could ski, we were in and out right on the hill next to a lift. The staff was outstanding and helped us with anything we needed. They kept the snow shoveled and checked on the hot tub daily. I can't say enough about this rental. Thank you for a memorable stay. Loved it - great location, kids loved having all the fun things to do in the basement!! We had a wonderful experience with Family Times 4. The place was clean and well kept and had everything we needed including towels, blankets, kitchenware, TV with cable, and a great downstairs area with a hot-tub and sauna. And you can't beat skiing out right near the lodge! We would definitely stay here again if we had a small group. Great. Amenities and customer service were fabulous. Great Location and very nice accommodation. My husband and I used to come up to BPH every year in college with our friends and always had a blast. We now have two boys who are 9 and 11 so it was time they experience the fun! We rented Family Times #4 and it was awesome! Plenty of room and super cozy. The game room and hot tub on the lower lever is really a great entertainment feature for kids and adults! The kitchen had everything you needed to make meals if you choose. And being the location is right on Big Bird trail it was really relaxing to just let the kids decide when to go in and warm up. There was simply no worries the entire weekend! We just loved it and will be bringing our college friends and their families back next year! An old tradition will be resurrected! Family Times is absolutely like a home away from home. The entire building is very well cared for, and has everything you need to make your stay enjoyable. Our unit, #4, was clean and well maintained. We made great use of everything the unit had to offer. From the fireplace, to the newer appliances in the kitchen, to all the recreational amenities on the lower level, like hot tub, sauna, foosball, air hockey, and pinball machine. The location is the best on Big Powderhorn, right off of the main slope to the ski lodge. While the rental is costly, it is well worth it. We consider it an excellent value for the money. We are already planning our return for next year. And yes we will stay at Family Times. Thank you for offering a top notch rental. We stayed over New Years weekend and had a great time! Location on the hill was awesome and very convenient. I would highly recommend Family Times 4. Absolute Best Location on the Slopes!!!! Our family had a wonderful stay at Family Times 4! It was the best ski in/ski out location we have ever stayed at. Convenient for skiers of all ages. Everything was clean and well maintained in the unit. 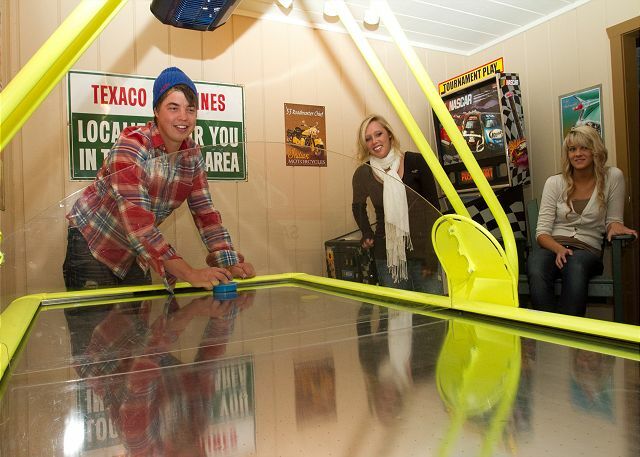 Our entire family had tons of fun in the lower level game room and hot tub! We will be back. You can count on a great stay at Family Times! Family Times is the best location on the mountain. The ski-in/ski-out feature is extremely convenient, but inside, every convenience is at your disposal. The property is quality and well maintained. This is our third stay at Family Times. We'll be back next year! Very nice updated property with attention to detail. Perfect for a family of 5. Family time #4 is a great condo! We were in the area for a wedding. Excellent location on the hill. Great for children with air hockey, foosball and pinball available. 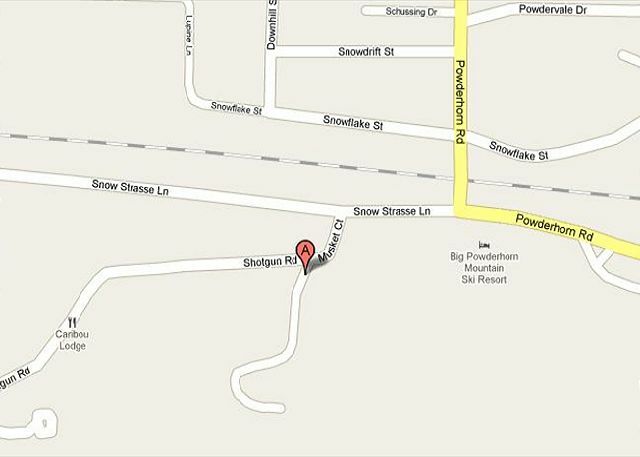 The ski in/ski out location is the most convenient, at Big Powderhorn. 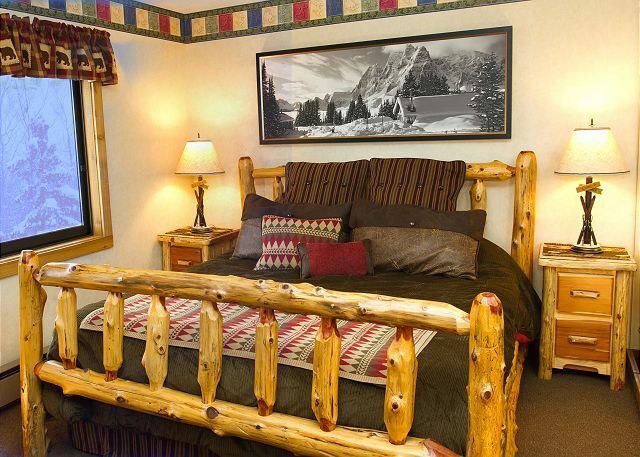 The unit is like new and has quality furnishings and all the extras a vacationer could want. It is clean and well cared for. We have stayed in Family Times before and will always try to do so when we return. It's perfect for guests of all ages. Our young kids loved it too. This was at least our 10th stay in this very nice unit, and a key reason we come back to Powderhorn. Sorry to see that it's for sale, I hope the new owners take the same pride in it as the previous owners. 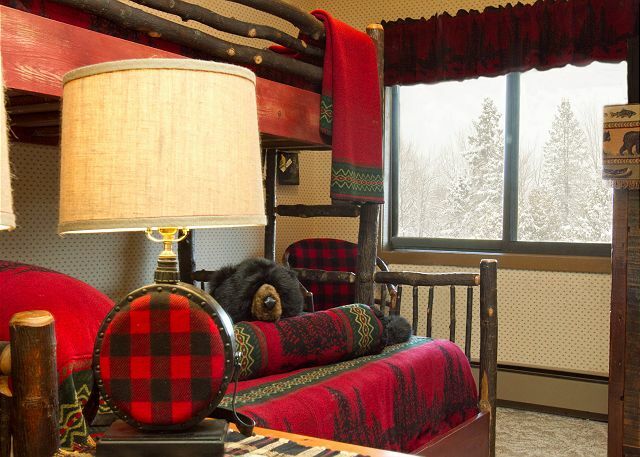 We have stayed at many properties at Big Powderhorn. This was the best place in our experiences. It is in a great location and was super clean. We have already made our reservations for next year! Everything was terrific. Loved the air hockey, pinball and foos ball. Loved the hot tub and sauna. The hot tub was maintained while we were there which was nice. Plenty of towels for everyone. Very comfortable beds for everyone. 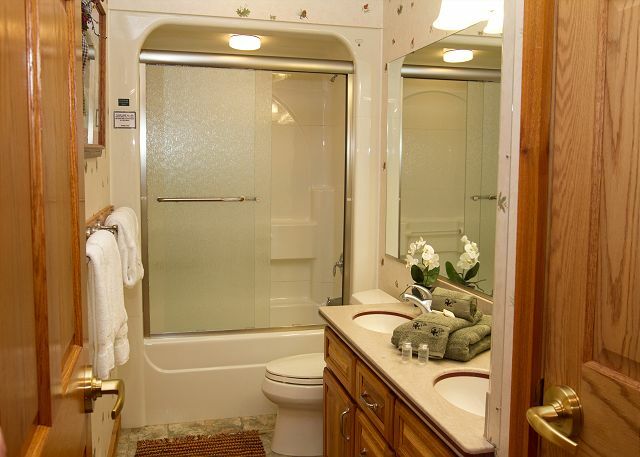 Extremely well decorated and clean. Very comfortable furniture. Ski in an out is very convenient. Warm fireplace. 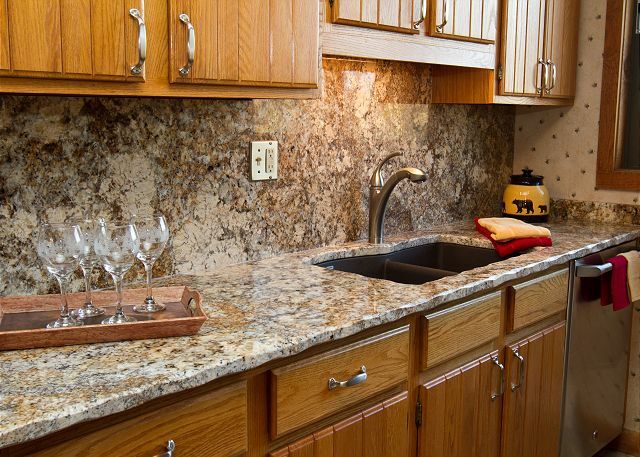 Awesome appliances and very well furnished kitchen. Great place to vacation with the family. We would go back in a second! It was a very nice place, all of the people from ones that rented it to the ones that cleaned it were very professional and friendly!!! 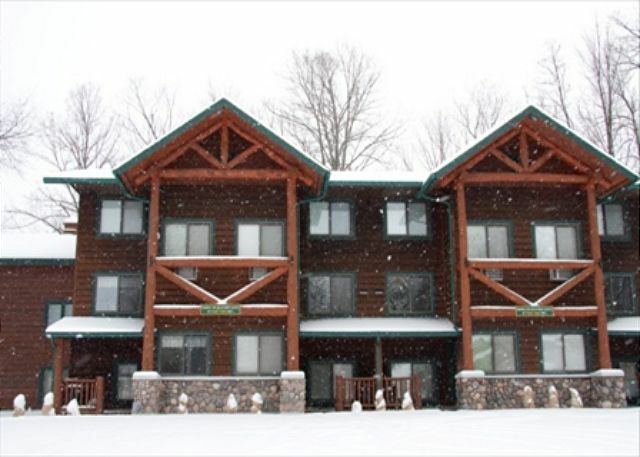 A great place to stay at Powderhorn! Family Times is a great place for the entire family. 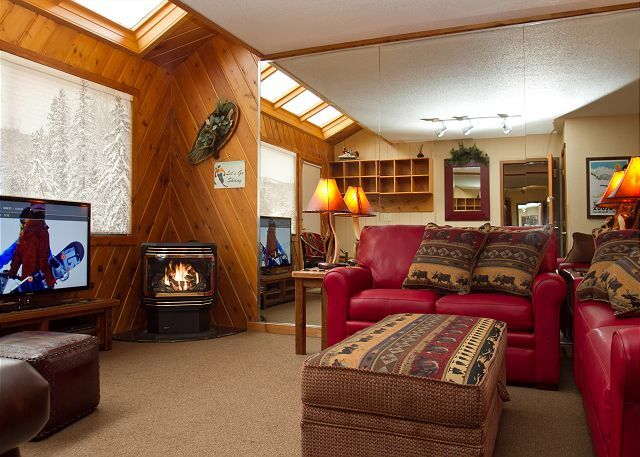 Fun skiing, a great hot tub and game room for the kids. First class all the way. We would love to return to Family Times. We could not be happier with the accommodations at Family Times. We were at Big Powderhorn for our daughter's wedding and the lodging was an absolute bonus that contributed to our overall experience. We just finished another wonderful trip to Powderhorn. I think of these hills as an old friend; forgiving when I need them to be, and kind to my grandchildren. Some years we would have groups of 25-30, and others 4. Whatever the number we have always been pleased with our accommodations and support services of the association. Anntenella you are the best. This year at 65 I brought my boots and my wife's skies, after a good laugh the rental shop guys got me back on the snow. Wonderful...we have been staying here for the past 5+ years. This place was exeptional in everway. We had the best time ever. The property had every imenity possible which made it very comfortable and had the at home feeling. Thanks you for having such a beautiful place! Probably our tenth year in a row at FT4. Expensive, but worth it. My husband,23 year old son and I came to stay for 3 nights, cook in at night, ski all day, and relax too. Wow! We can't wait to go back and take the other 2 sons, some friends, and do the exact same thing. It was so convenient adn the condo was equipted with the best stuff. The kitchen had everything you needed to cook anything and the quality of just everything was top notch. Again, we all can't wait to go back! We had a wonderful vacation at Family Times. Were able to grill out with the charcoal the staff brought us. Had fun games in the basement as well as a hot tub. Highly recommend it! What a great condo and a very helpful staff! We will definitely be back next year! Awesome accommodation at an awesome resort! Best for location, best for families! We were beyond satisfied with the condition of this rental unit, the location, the hottub and games in the lower level, the fully stocked kitchen, and (it was so good we will repeat) the LOCATION! It was wonderful that management allowed us to check in several hours early (with two tired, hungry toddlers), and even allowed us an extra hour on check-out day too! We cannot wait to visit again, hopefully with more family and friends in adjoining units!! Highly recommend unit. Ski in/out. Great playroom in lower level with sauna, shower, hot tub and table games. Kitchen well appointed - able to cook all our meals with pots/pans/dishes provided without issue. Thanks for a great first trip to the UP. We have come to Big Powderhorn a good number of times over the years. This was the best condo we have stayed in .